Hampstead is the first place I ever lived in London. It’s high on a hill in the north-west of London where you can stand and look down on the city below from the beautiful Hampstead Heath. It’s one of the most fancy, desirable neighbourhoods in the city, and has prices to match (I only lived there because my very un-fancy student halls were up there). The town centre is cute with lots of independent shops and restaurants, but the highlight is Hampstead Heath. This huge park feels like being in the countryside with woodland walks and lakes to swim in. There’s a women’s only pond, which gets really popular in the summer months, and men have their own one too, as well as a mixed one for everyone. 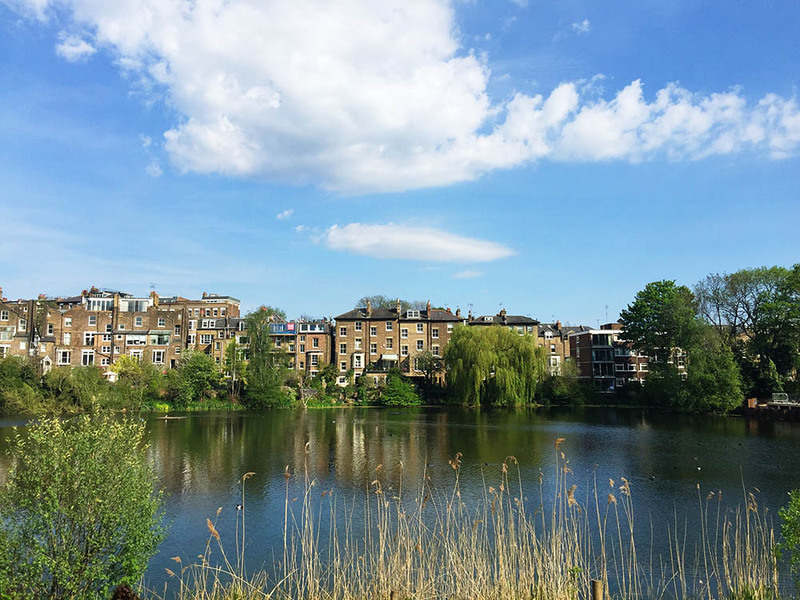 Hampstead is a lovely place to walk around – the houses are incredible (there are apparently more millionaires in Hampstead Village than within any other area in the UK) and the streets are wonderfully leafy. I highly recommend stopping at the Holly Bush, an 18th Century pub that I return to whenever I’m there. Nearby Highgate is also a very cute village in London. Dulwich Village is just around the corner from Peckham where I live, but feels like a different world. 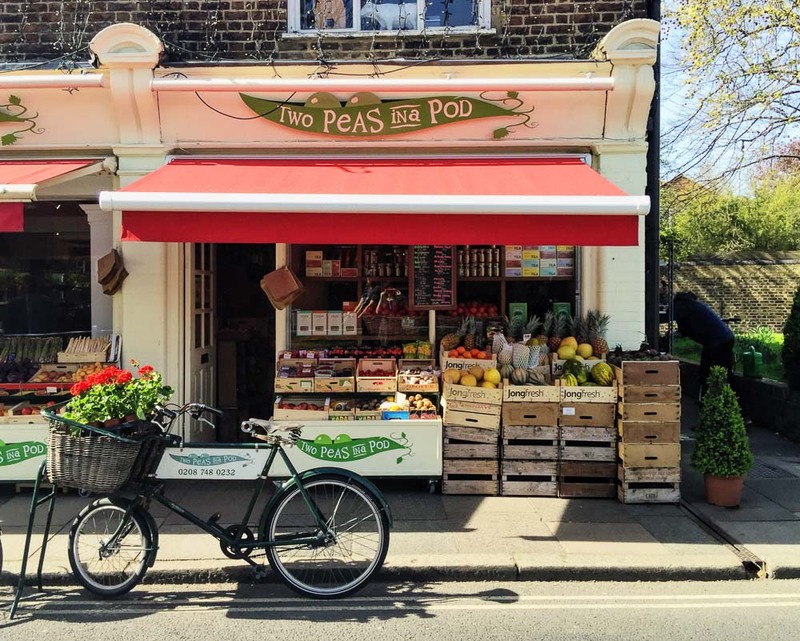 While Peckham is currently being gentrified, Dulwich Village got there decades ago. It is, in a word, “posh”. It’s also ridiculously cute, complete with painted wooden road signs and a boating lake in the park. A highlight is the Dulwich Picture Gallery, which regularly hosts world-class exhibitions. Last year, we saw an amazing exhibition by M.C. Escher. 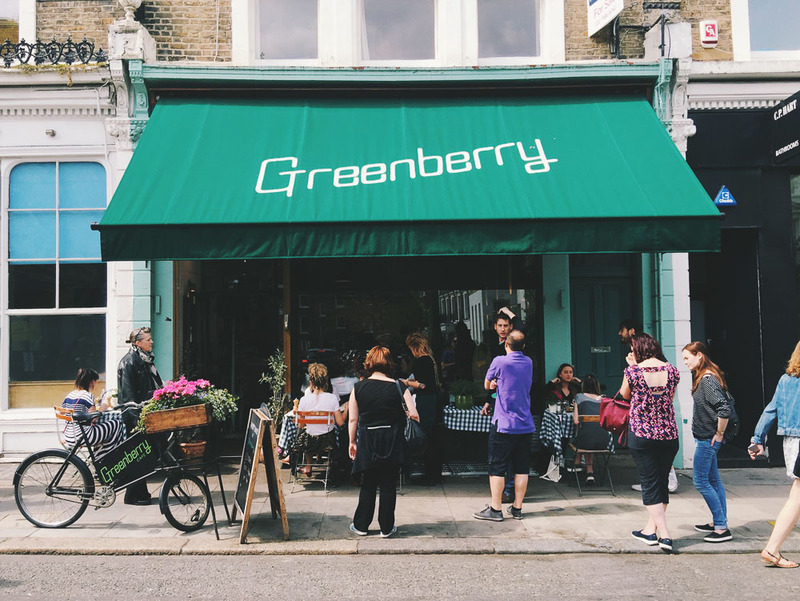 Broadway Market and the nearby London Fields are part of a cute little enclave in Hackney. 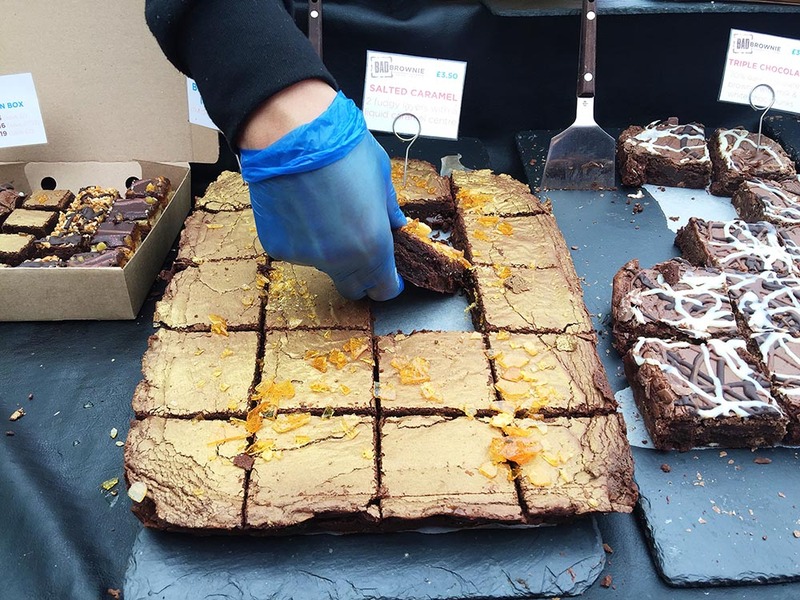 Broadway Market is the name of an independent shop and restaurant-lined street that also holds a gourmet food market on Saturdays. 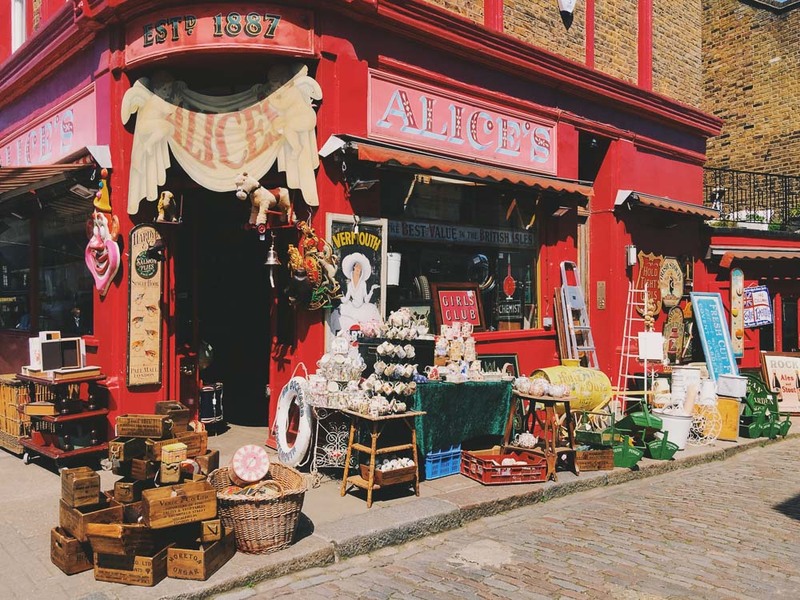 Even without the market, it’s a great place to visit, lined with charming cafes, restaurants and three of the best bookshops in London (Artwords, Broadway Bookshop and Donlon Books). The market has some fantastic stalls selling fresh produce as well as street food meals from around the world. Netil Market is also just around the corner with more food stalls as well as tradespeople selling gifts and antiques. 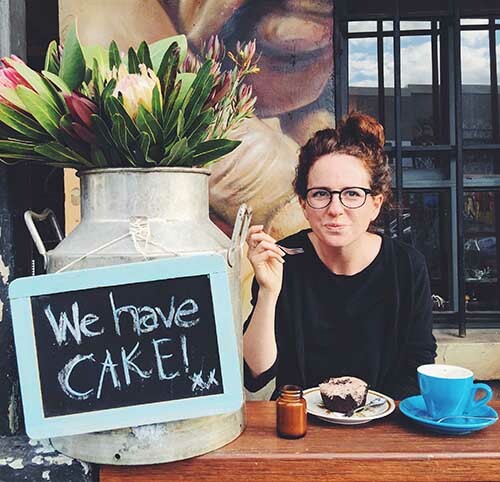 Once you’ve chosen some food, take it to London Fields to eat it in the park. 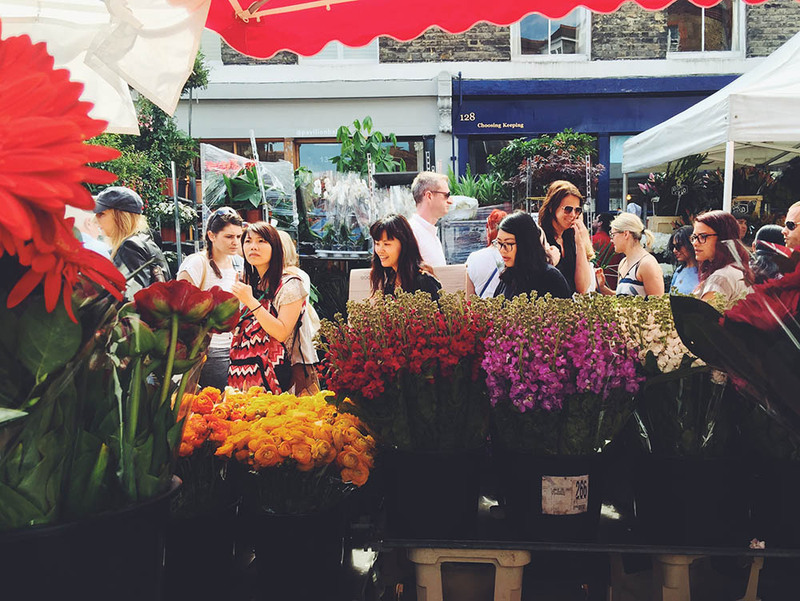 Close to Broadway Market is Columbia Road, home to the famous Columbia Road Flower Market every Sunday. It’s one of my favourite places in London and definitely one of the most colourful. You can get some real bargains here, especially towards the end of the day. It has a good community vibe and many of the people selling flowers are the second or third generation of their family to do so. It’s a good place to hear some proper cockney language. Tucked behind the busy Upper Street in Islington is little Camden Passage. It has been a hub for antiques since the 1950s and holds a popular antiques market on Wednesdays and Saturdays. There are also some lovely vintage shops in the area, and some good cafes too. I recommend the Breakfast Club for some comfort food in quirky surrounds. Note this is not in Camden Town, but in Islington, close to Angel station. 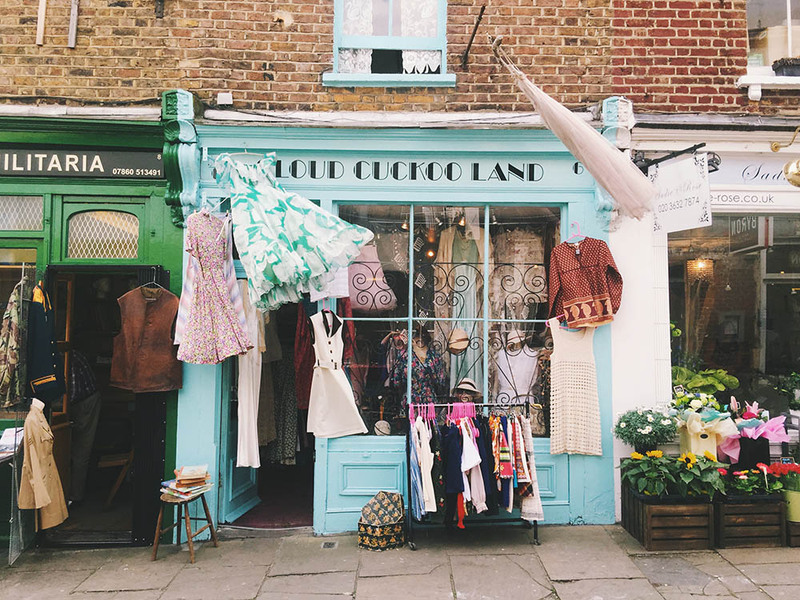 Portobello is a great area to visit on any day of the week, especially to wander around all the colourful streets. I can never stop taking photos there, as you can tell from my Instagram account! However, for most people the main draw is the antiques market, which is open every day of the week, but has its biggest day on Saturday. Friday is the second busiest day and a good time to visit the market on a slightly less hectic day to Saturday. 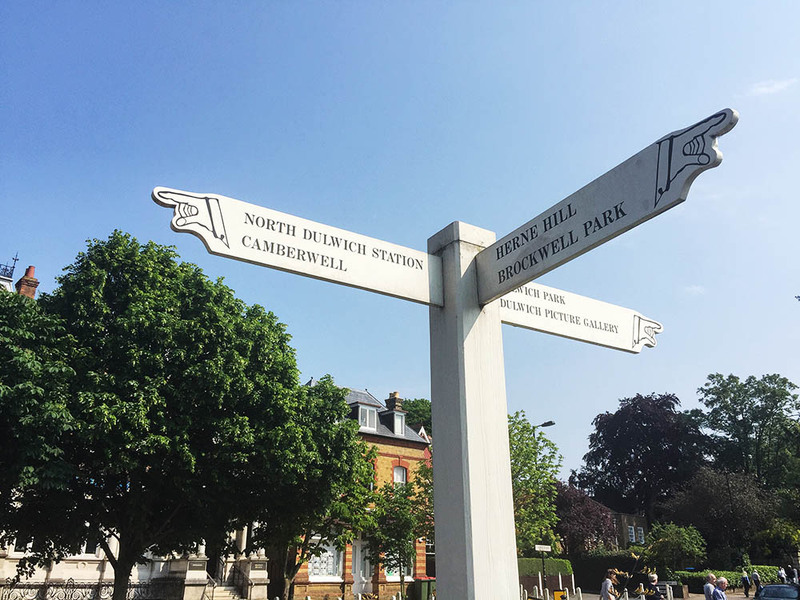 There’s a good selection of shops, cafes and restaurants to choose from along Portobello Road, as well as the Electric Cinema where you can watch films from the comfort of a sofa. I first came across Little Venice when I started studying in the area, and I couldn’t believe how cute it was. It’s a little enclave of fancy West London houses set around the canals next to Paddington station. The best bit is all the colourful houseboats. I’m pretty jealous of the people who get to call those boats home. There’s also a canalboat cafe, and another boat that hosts Punch and Judy shows. 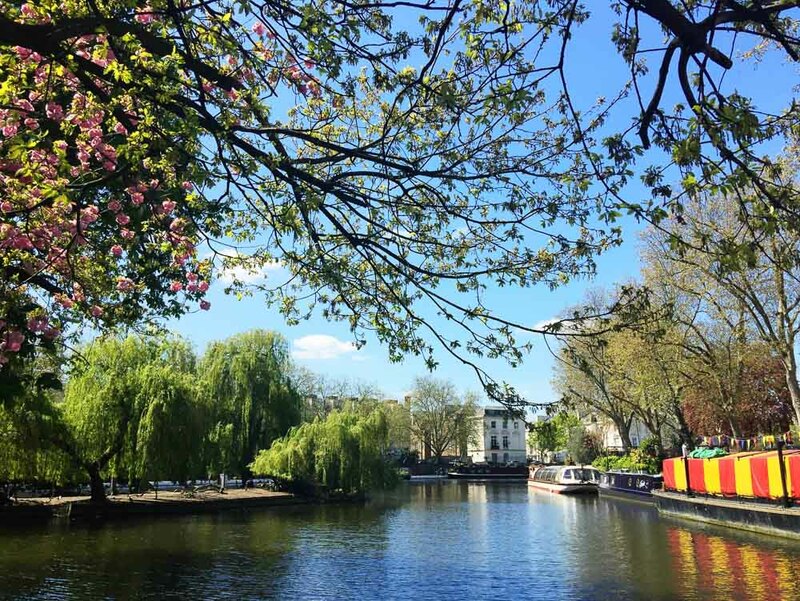 You can get a water taxi all the way from Little Venice down to Camden. 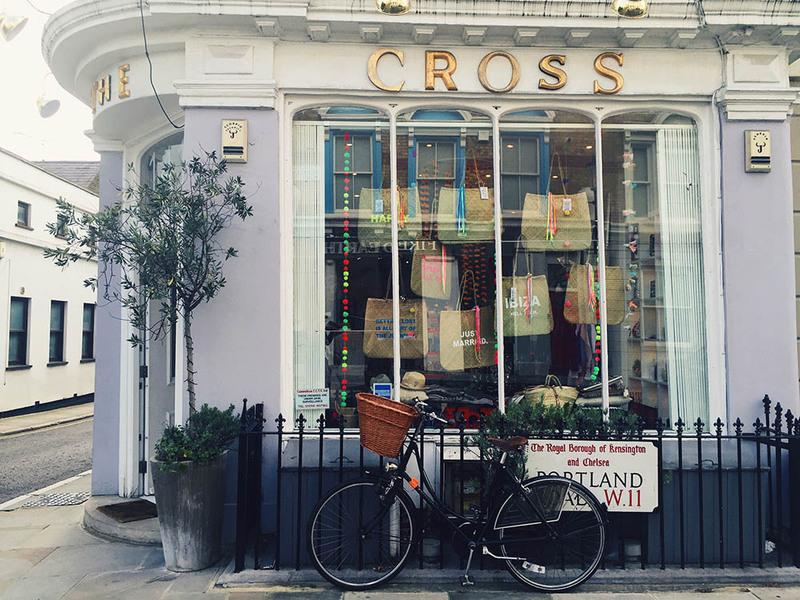 Nearby to Notting Hill is a cute little village enclave called Clarendon Cross, which has a small selection of picture-perfect shops and restaurants. This area is where Emmeline Pankhurst, leader of the suffragette movement, lived in the early 20th century, and you can see the blue plaque on her old home. I once had a landlord who lived in Barnes who would always refer to it as “the village”. As soon as I went there, it was obvious why; it’s probably one of the most, if not the most, village-like area in London. It’s just 30 minutes on the train from central London but feels like you’re in the countryside. It’s centrepiece is a beautiful village pond and the area is said to have the highest proportion of independent shops in the UK. There’s a lovely community vibe. It’s also home to the London Wetland Centre where you can see everything from otters to kingfishers. A walk along the South Bank: the perfect introduction to the city |Best cafes in Peckham | Introducing Victoria’s Insider Guide to London. Lovely post, lovely photos, lovely video, lovely London. I would go every weekend if I could! What a wonderful video and a super-useful guide! You look fantastic in it too! I wish we had had more time in London to explore some of these places—I did enjoy a morning run on Hampstead Heath though. Posts like this make me remember why I love London so much. I lived in London for 7 years and have only recently moved out to the countryside. As much as I love my new home, I do miss London. Hampstead is one of my favourite places in London. I could spend hours wandering through the village, grabbing a coffee in a cafe with a book and then strolling across the heath. Its easy to forget you are still in London sometimes! Currently living island life in Thailand this post made me a little homesick, you sometimes forget just how beautiful these little enclaves of the city are. Thanks for posting. Great Video Victoria, I know you can’t include everything, London is so enormous, but you missed the best “village” (IMO) Richmond-on-Thames. 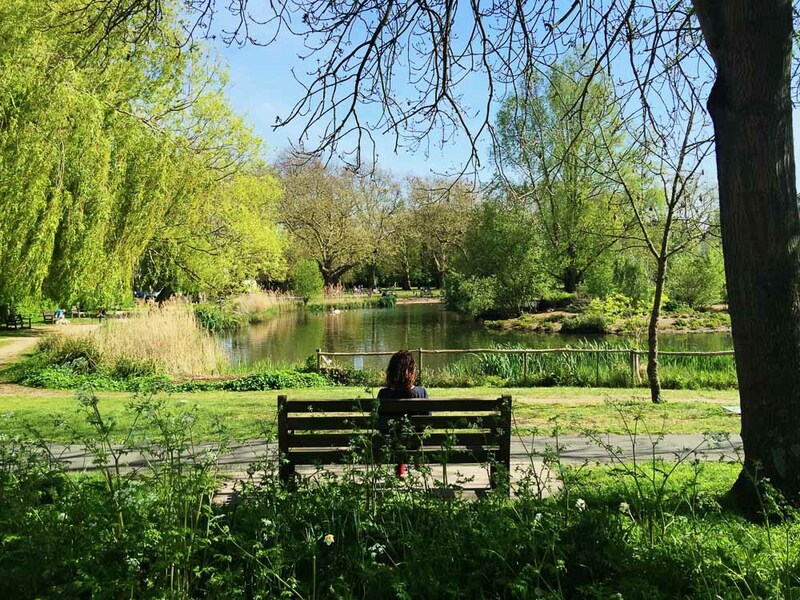 Not only beautifully situated on the Thames River but also containing the city’s largest park and adjacent to Kew Gardens! Maybe next time eh? I love that there is a dog grooming shop! You mention Hampstead, very rightly so, but totally fail to mention Highgate, which to me feels more villagey and less urban than Hampstead but still has all the upside, and in some ways is better positioned for all the highlights of the Heath, being closer to the ponds, Kenwood House and, depending which part of Highgate you’re in, Parliament Hill too.